Nice advance in stocks with low volume and decent internals. A number of tracking counts are still on the table (Chart 1). 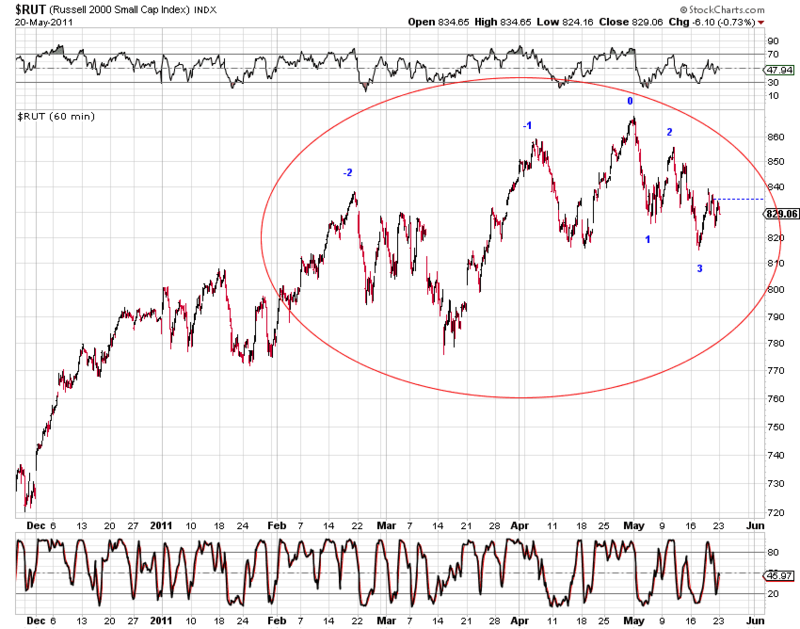 The rally into the close has, not surprisingly, managed to deliver tricky a 7 wave advance since the May 25th low (Chart 2). 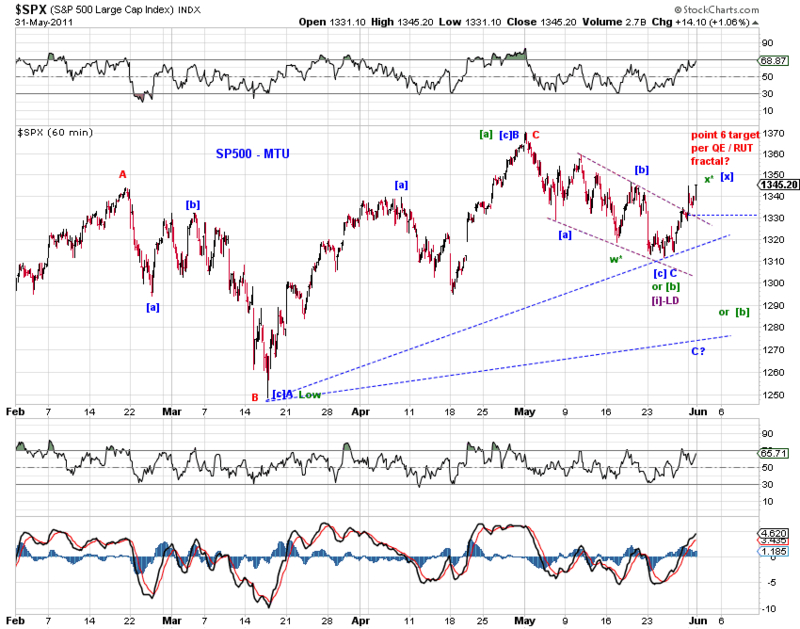 We'll see if the market can eke out a 9 wave advance over the next few days. 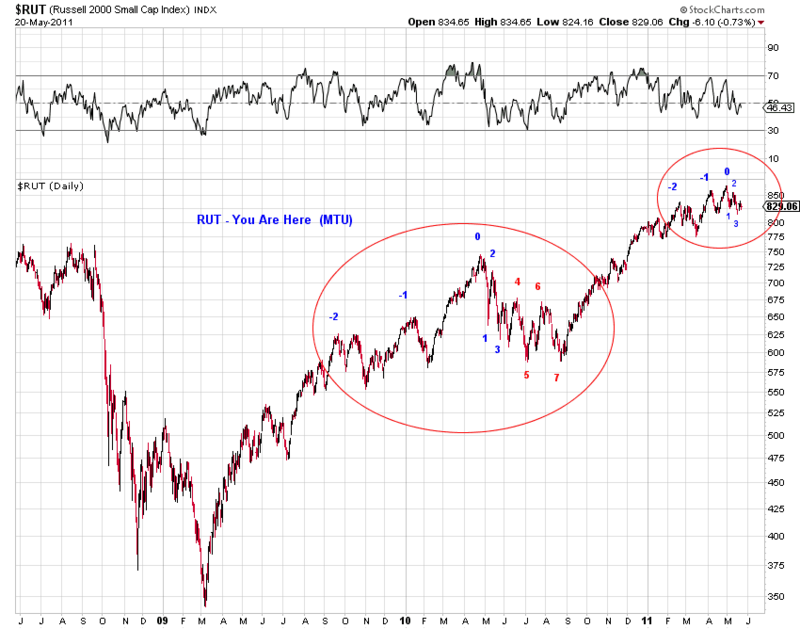 Chart 3 updates the QE fractal in $RUT. ES - There's enough overlap and retrace to rule out a nested 1s2s down scenario, leaving the LD-down count still on the table (red). 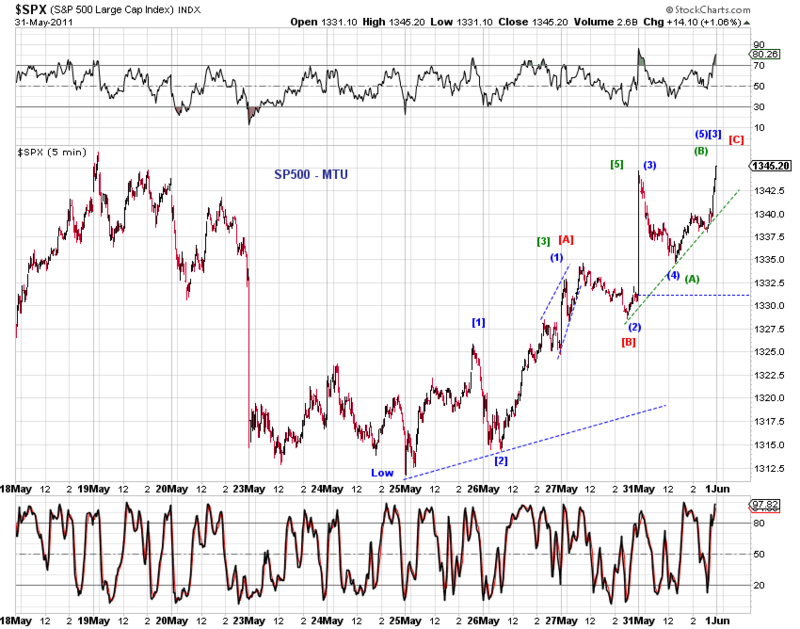 The most likely count is a completed zigzag-down to the recent low with a running flat within the zigzag (blue). 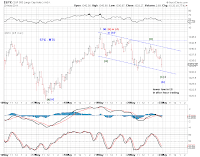 The recent low could be the end of the correction or the first leg of the correction (Chart 1). 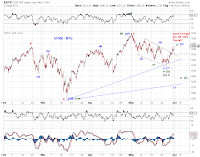 The first five-up from the recent low may have completed based on a version of the squiggle count in (Chart 2, blue), or the overnight high is the top of the small degree 3rd wave of the initial five-up (Chart 2, green). 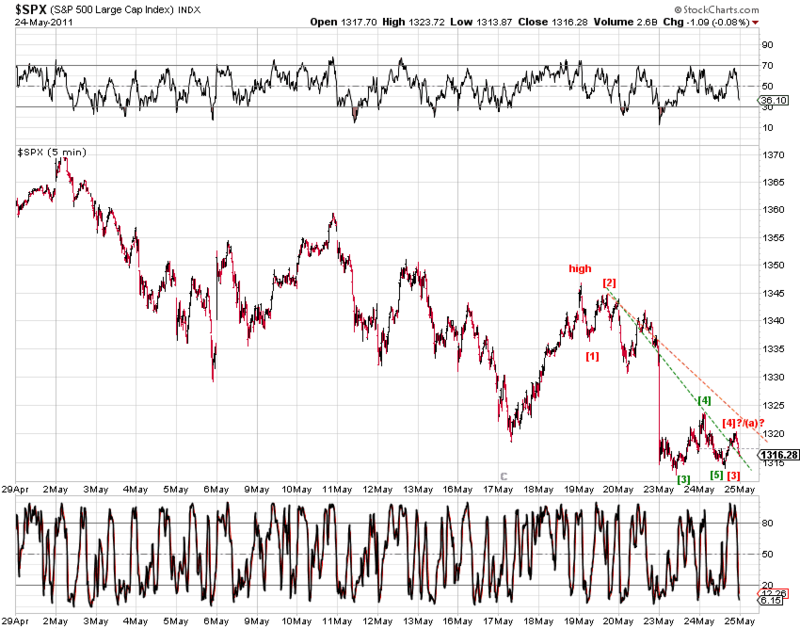 For DX, Chart 3 gives an update of the squiggle count from its low. Blue=bullish, Red=Bearish. 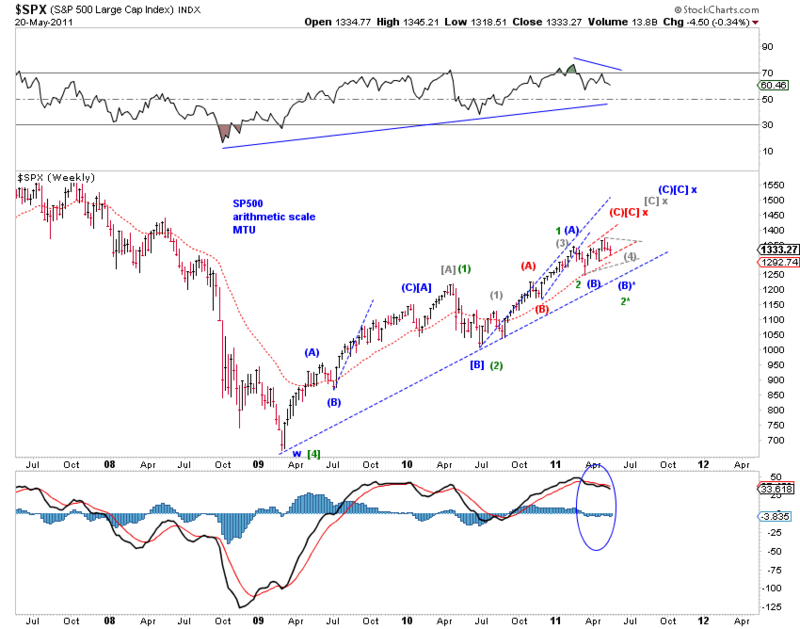 Preview: Medium term bullish technicals, near term bearish risks, and a speculative QE-themed projection to SPX 1430. See below for details. Regarding the big picture, a range bound stock market since the February high is likely (eventually) bullish based on the following long term and near term observations, until underlying forces change - as the risk to this interpretation is the realization of the bearish nested 1s2s or a leading diagonal decline from the May top. 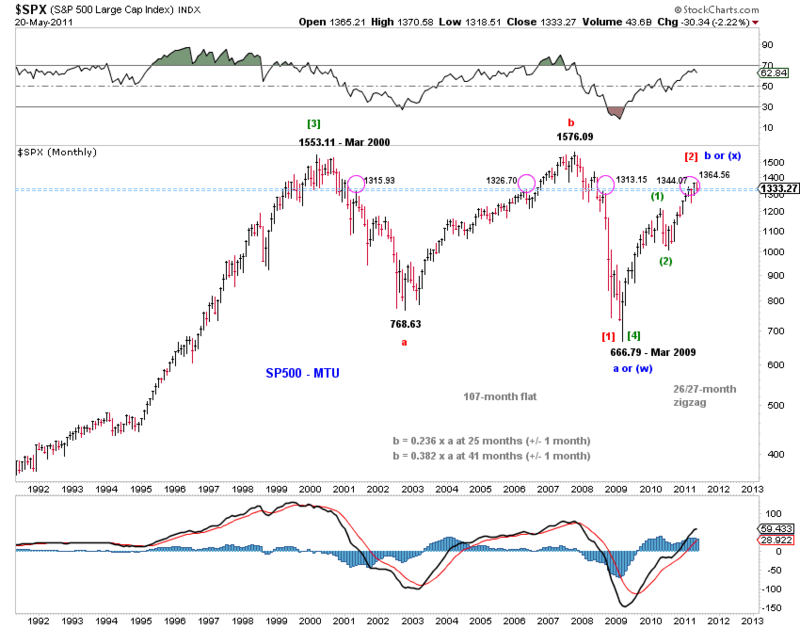 The monthly chart of SP500 that SPX has broken above a decade-long resistance zone, retested it and closed about 4 index points above the zone this past week (Chart 1). 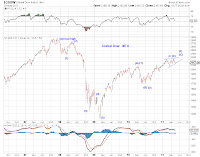 As mentioned in recent weekend commentaries, as long as SP500 is cushioned by this long-term zone, odds favor the more bullish corrective counts. Since the February high, SPX and other broad market indexes have traced out a three-wave decline to the March low, then a three-wave advance to the May high, followed by the recent overlapping-wave decline (Chart 2). 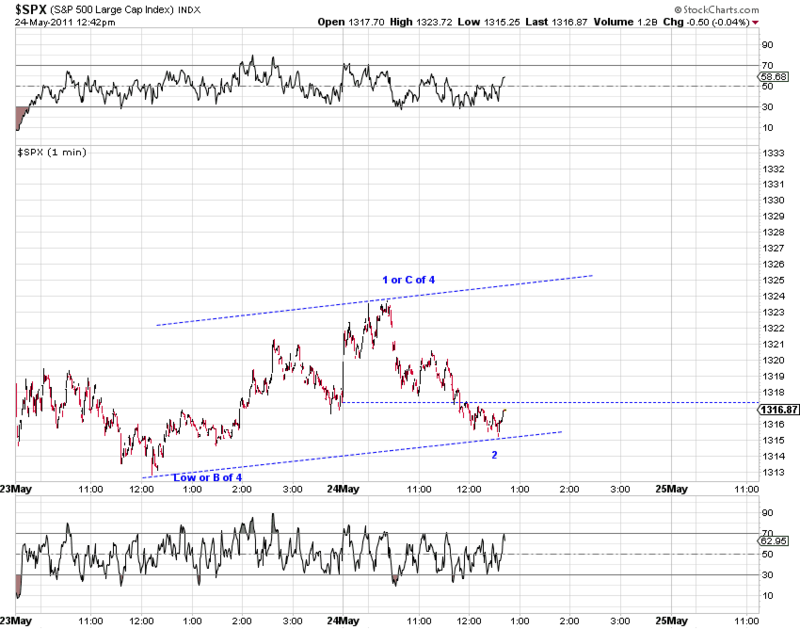 This is likely a corrective structure. 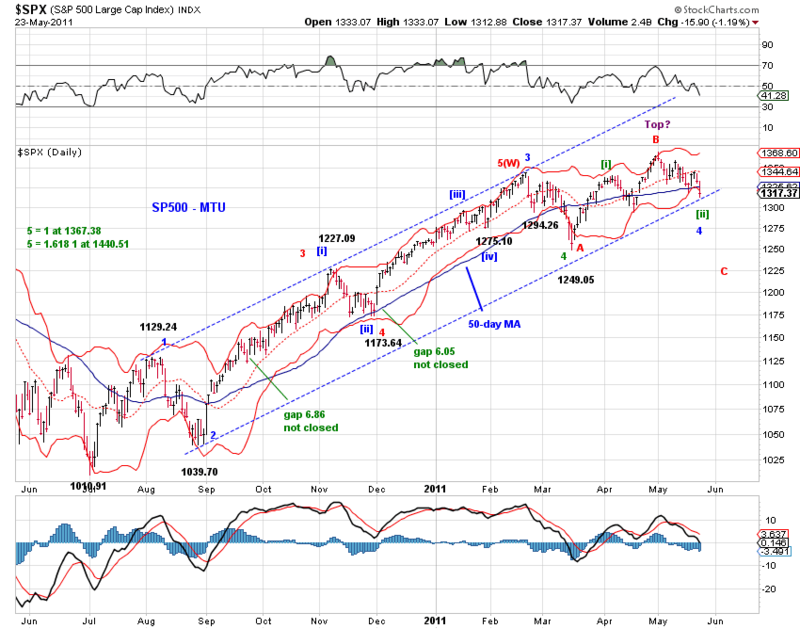 The key question is where the correction ends - Chart 2 offers a number of logical ending points, including the past week's low. 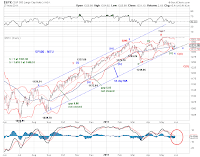 (a) the market bounced off the lower end of the trend channel since the July 2010 low, the lower Bollinger channel line, and the lower end of the April gap. 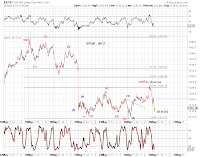 (b) SPX managed to close near the high of the week and just above its 50-day moving average. 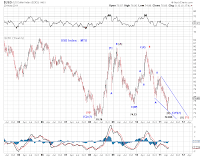 (c) MACD is approaching a bullish cross. 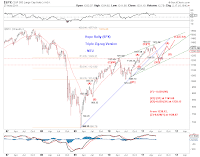 The risk to this bullish interpretation is the realization of the bearish nested 1s2s (Chart 3, red) or a leading diagonal decline from the May top (Chart 3, purple), as well as the continued tracking of the quantitative easing (QE) fractal. 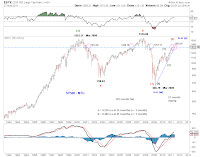 As we approach the end of QE2, the stock market appears to have been tracing out similar price patterns around the end of QE1 but at an accelerated pace. 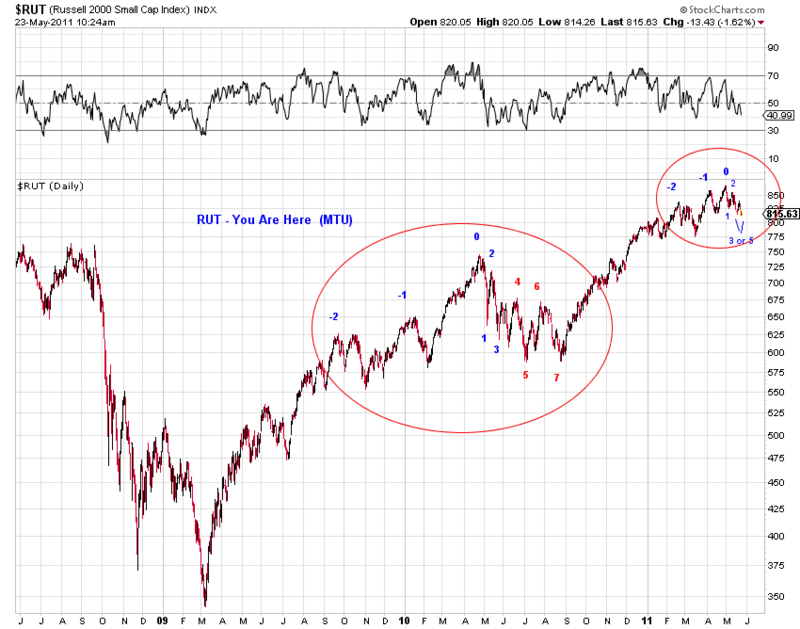 This is most clearly seen in the Russell 2000 index, as discussed in Russell 2000 QE Fractal (5/20/11). 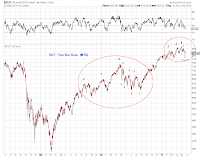 Based on this framework, this past week's rally is the advance towards point number 6 in Chart 4. 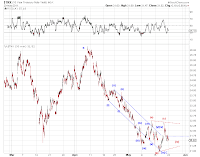 To the extent that this price pattern continues to track, one can expect a decline to point number 7, to at least retest past week's lows once the advance to point number 6 is done. Last Friday's high is the first logical spot for point number 6. It's interesting to note that point number 7 decline in Q3 of 2010 was stopped by hints of QE2 in August 2010, which was formally announced in November 2010. 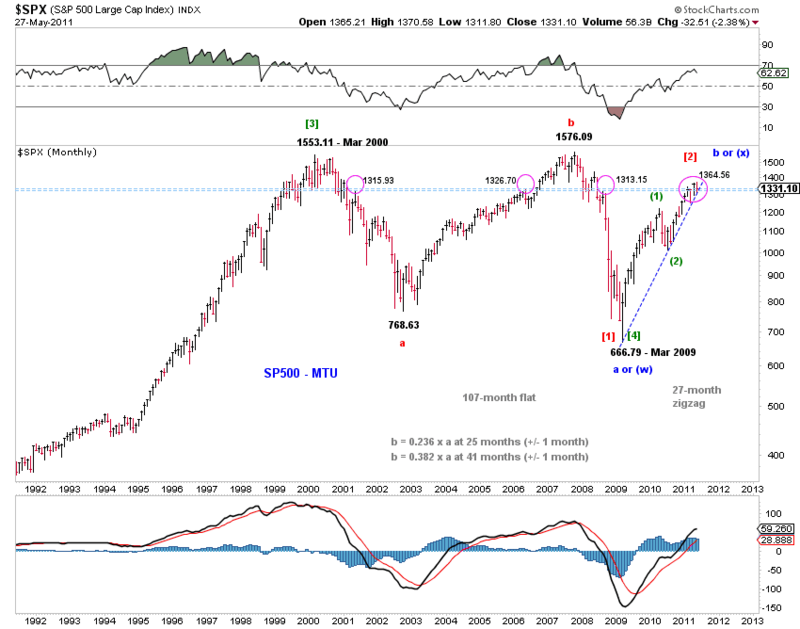 QE3 by September or Q4 of 2011 or is it out of the question? It's anyone's educated guess. 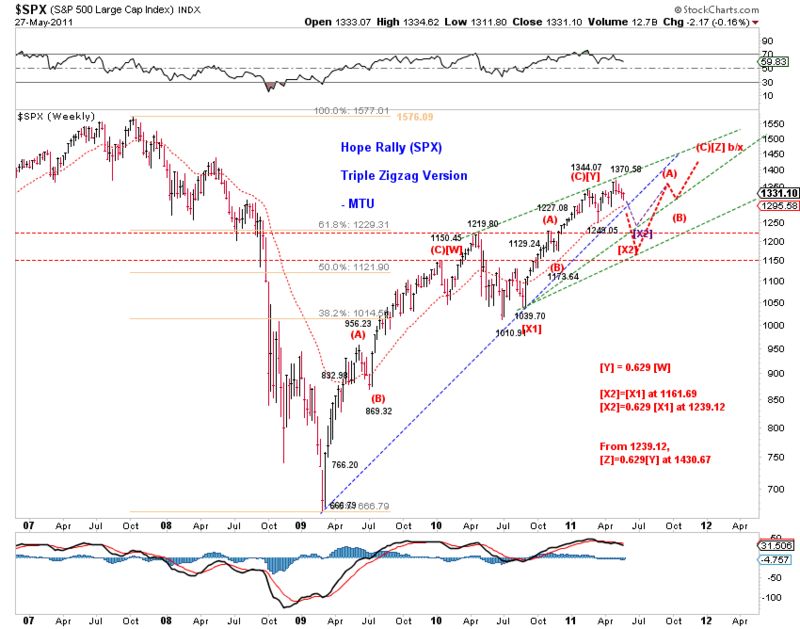 Speculative Hope Rally Projection with QE3 (-type Monetization) - SPX 1430? Assume that the end-of-QE fractal continues to track and that QE3-type monetization eventually surfaces, the hope rally since the March 2009 low has a chance to become a triple-zigzag after all. 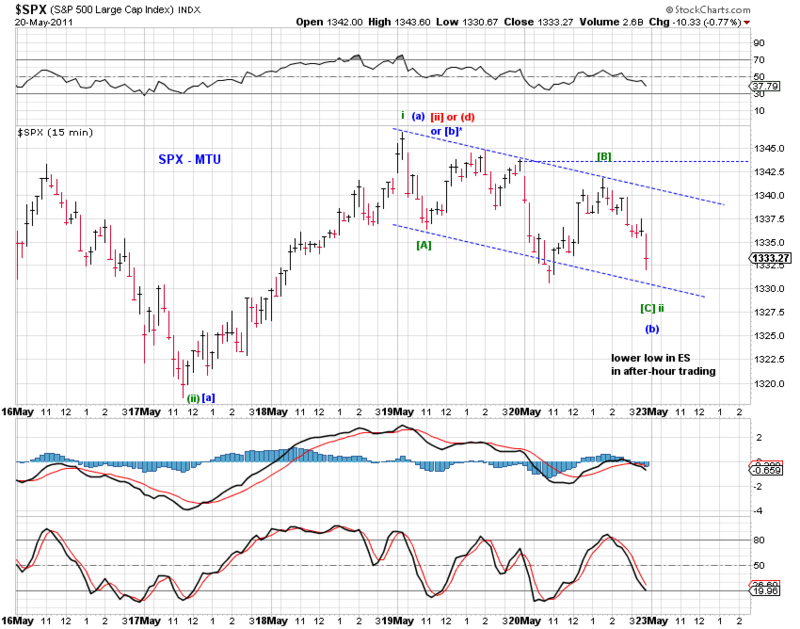 Chart 5 offers this speculative count and projections. 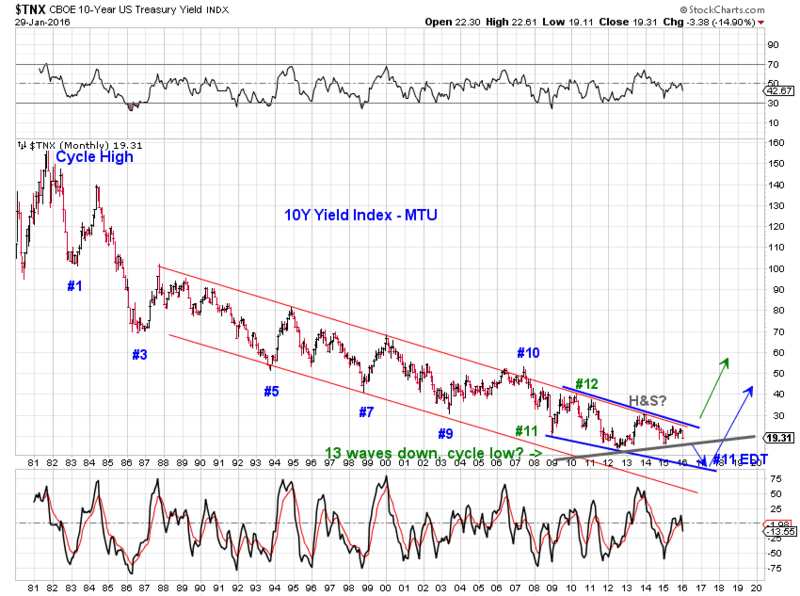 An explicit QE3 may not be necessary. It can be named anything as long as it effectively delivers a QE3-type monetization. Within this projection, the consolidation since the February high is the second [X] wave. 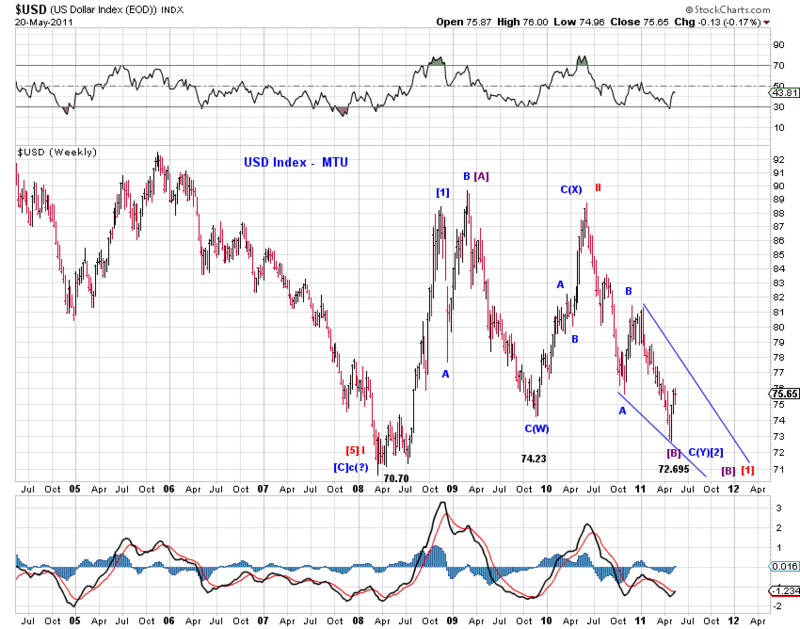 Note that the second zigzag [Y] is a near fibo 0.63 times the first zigzag [W]. To have the "right" look of a triple zigzag, some overlap (or near overlap) between [X2] and [X1] is desirable. 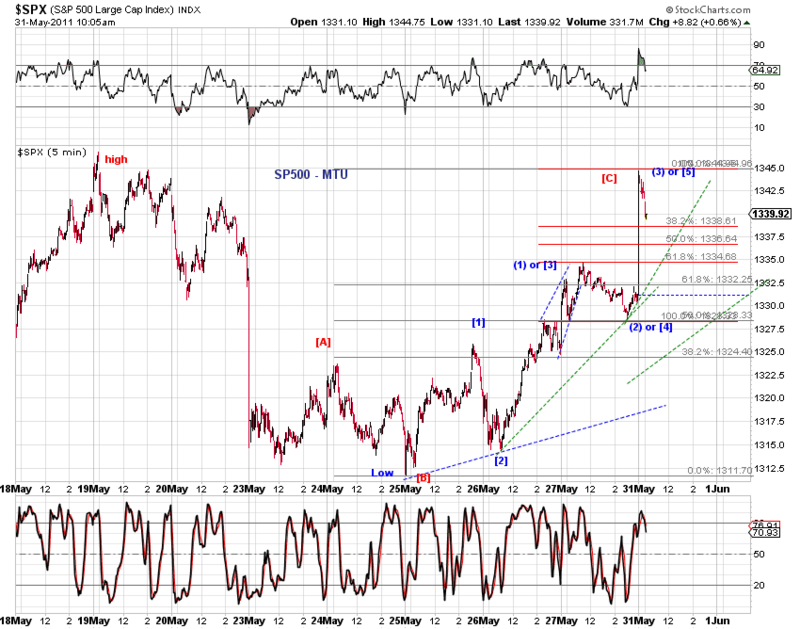 A natural target zone for the current correction within this projection is between 1150.45 and 1219.80 in SPX. Two targets for [X2] are given as follows. 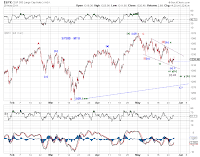 Assume that the current correction bottoms around 1239.12, a likely target area for the final top (the third zigzag) is 1430.67 in SPX, where [Z]=0.629[Y] (0r 1427.23 where [Z]=0.618[Y]). 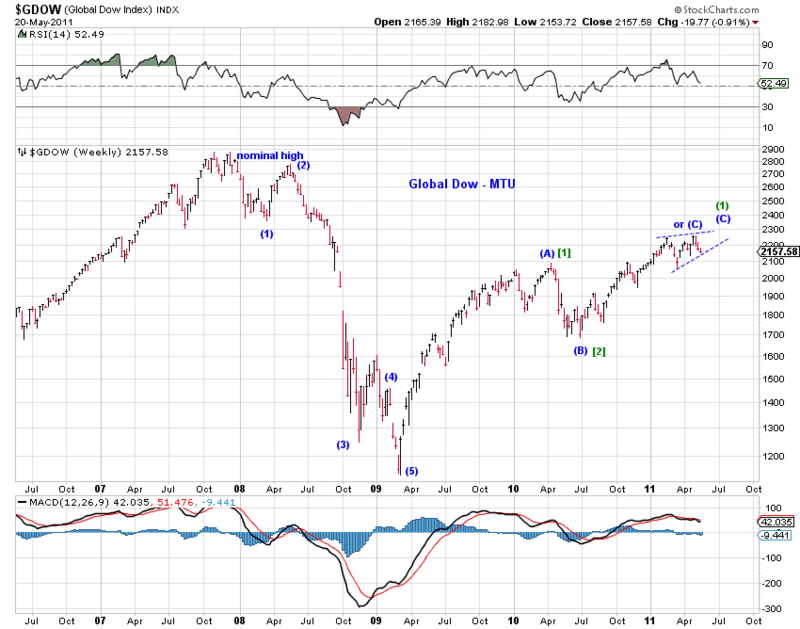 The extended hope rally would also help to satisfy a number of time relationships, such as the one outlined in Chart 1. 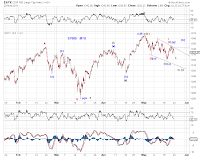 However, without additional correction in the near term, odds appear to favor a final advance above the May high (to complete the large ABC structure since the 2009 low) rather than a triple zigzag. Not sure if point 6 in the RUT fractal is indeed here, but this is the first logical spot. 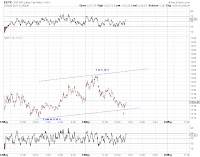 Needs to break out of the base channel for the immediately bullish count. Note the approaching long weekend and month end. The blue count is the "only?" 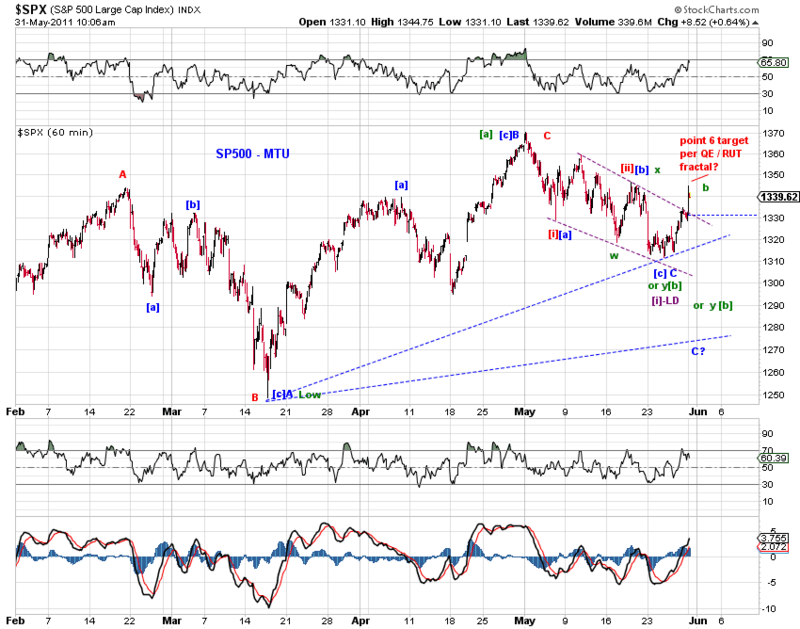 bullish count possible from its low and is not yet persuasive enough until a strong 3rd wave rebound materializes. 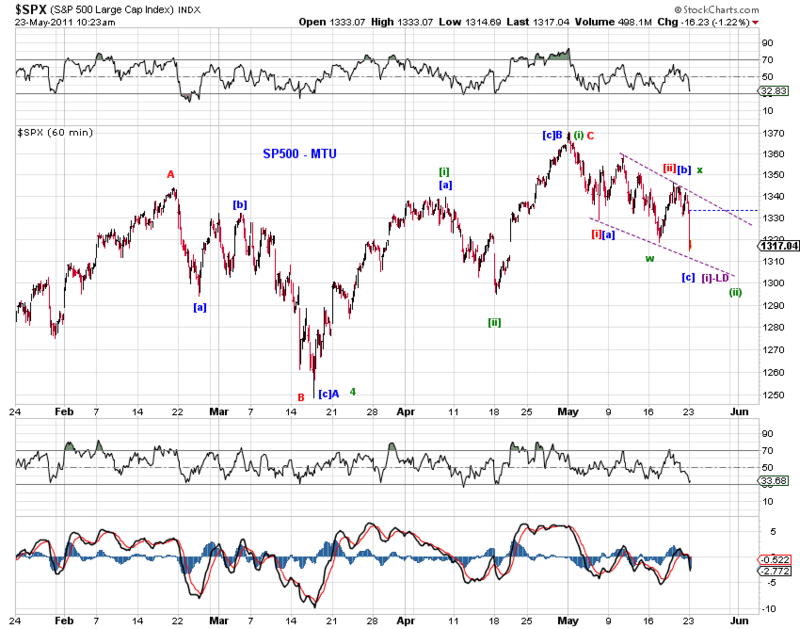 The red count has the DX completing a zigzag from its low. Tracking counts are still tracking (Chart 1). 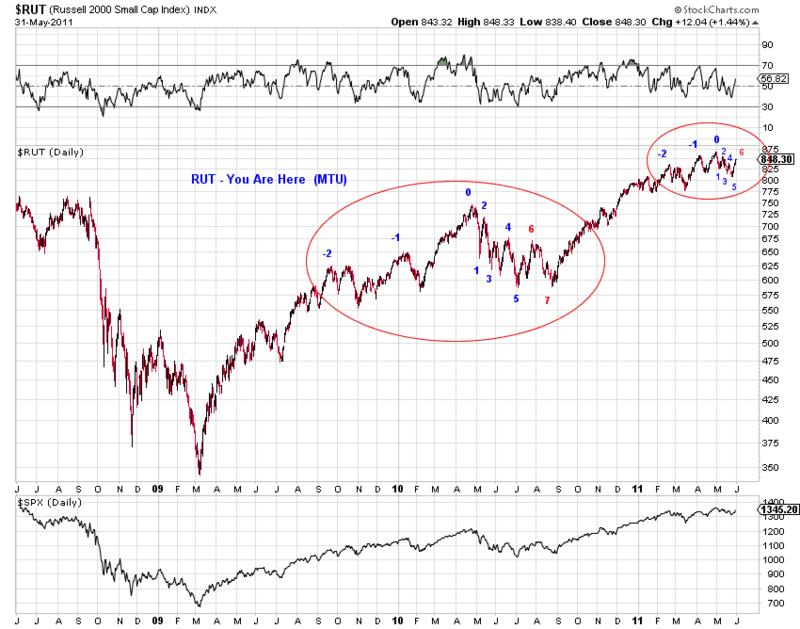 Added a near term target zone based on the RUT fractal (see 1pm entry). Chart 2 counts the 5-min bars and Chart 3 counts the 1-min bars. 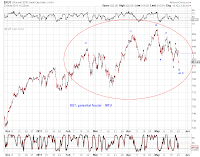 To the extent that the potential fractal in RUT is still tracking (for RUT and possibly the broader market), RUT is heading towards the red #6 point on the chart with a target around the blue #4 point. See Chart below. 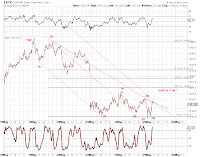 See yesterday's EOD update for the larger counts. 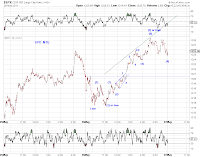 Changes made to the tracking counts (Chart 1) - Changed the previously most bullish 1/2/1/2 green count to a bullish ED, with the recent decline as [b] of the ED. As discussed in recent days, the blue count accommodates a running flat with respect to the March low or the February high. 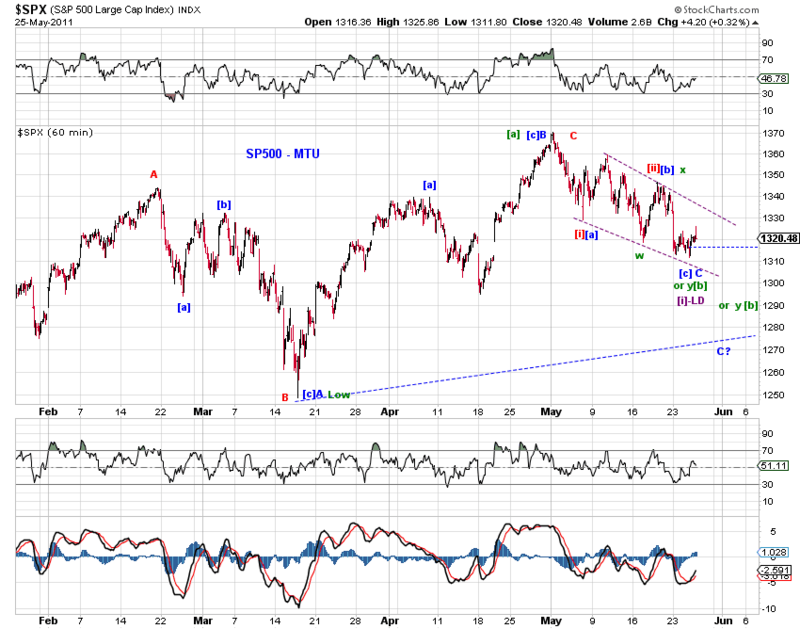 Given the size of the recent decline, the blue count also accommodates a triangle (or a downward flat) with respect to the February high. 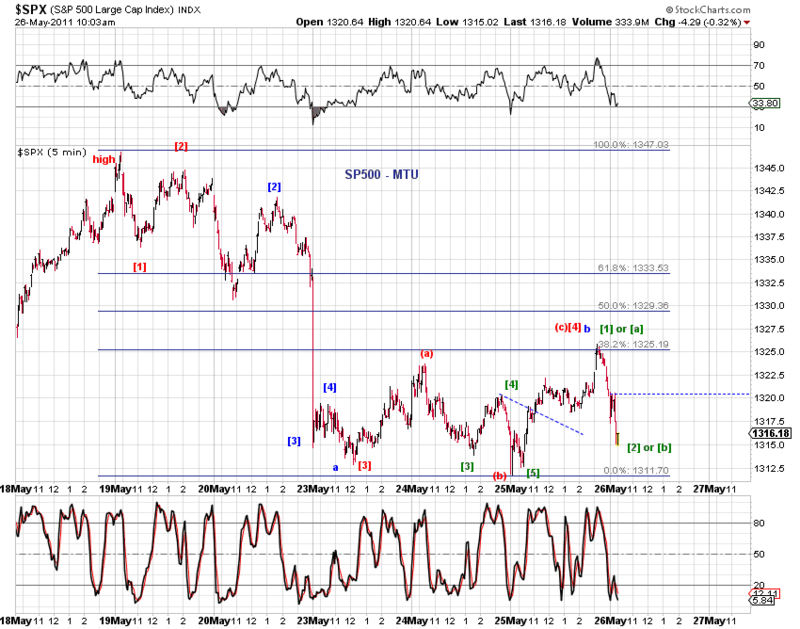 For the very near term (Chart 2), today's bounce is likely too large to be a small degree 4th wave rebound (red ). 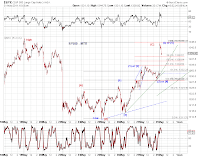 So on the bullish side, wave -up from the low completed at today's high (green ); on the bearish side, an upward expanded flat rebound (blue b) or wave [a] of a 2nd wave rebound (green [a]) ended at today's high. See this chart and yesterday's update for the larger tracking counts. 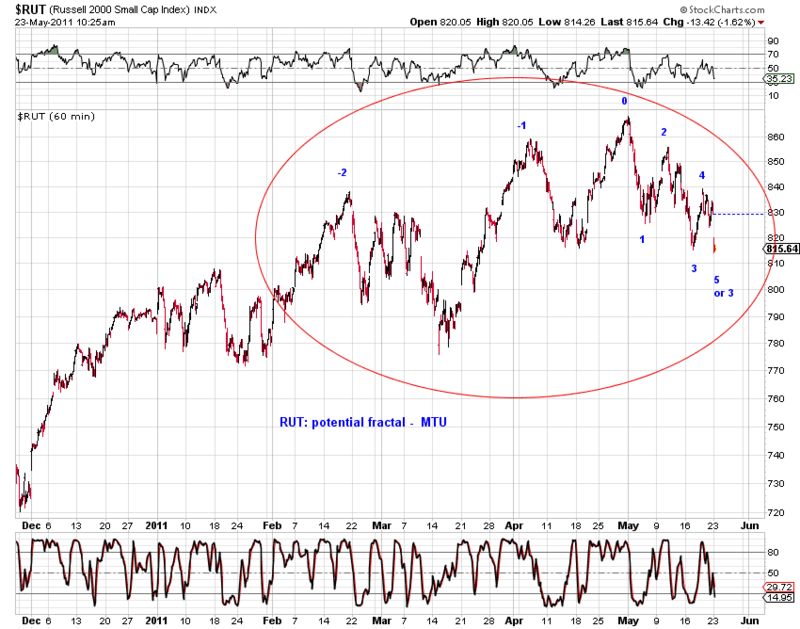 (1) WLSH, mid-cap and small cap indexes made a lower low today. 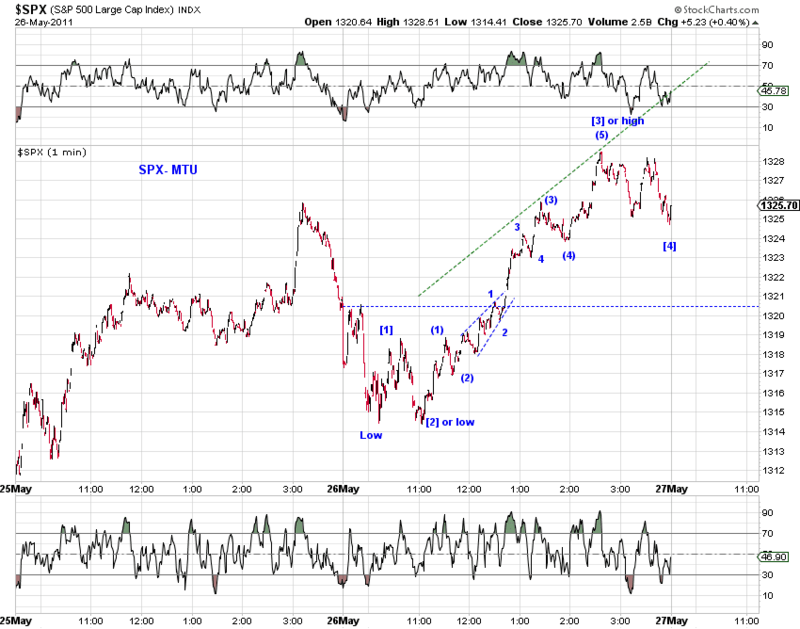 (2) The selling into the close has gained traction and continued into after-hours. As of now, the after hours low is just 0.5 point above yesterday's low in ES. Unless futures get pumped up enough before tomorrow's open. 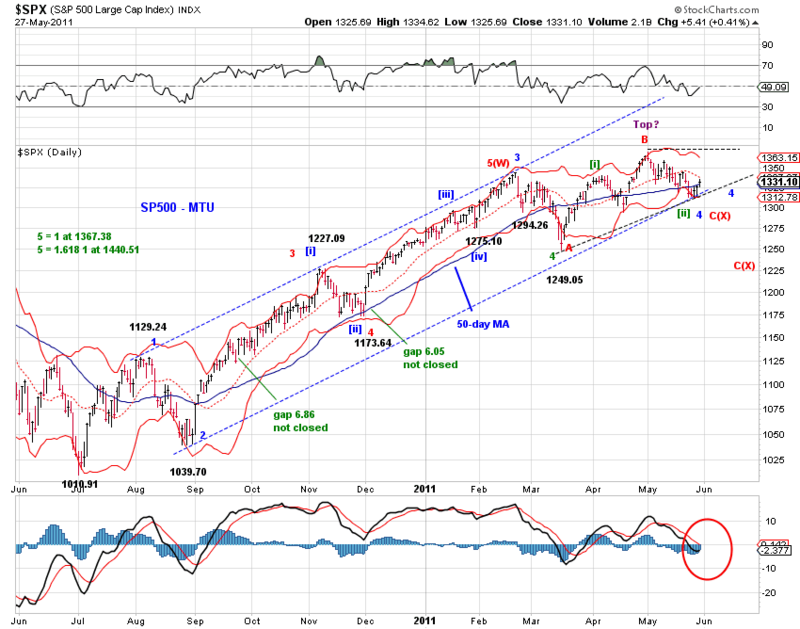 Tracking counts for the higher time frames remain unchanged (Chart 1). 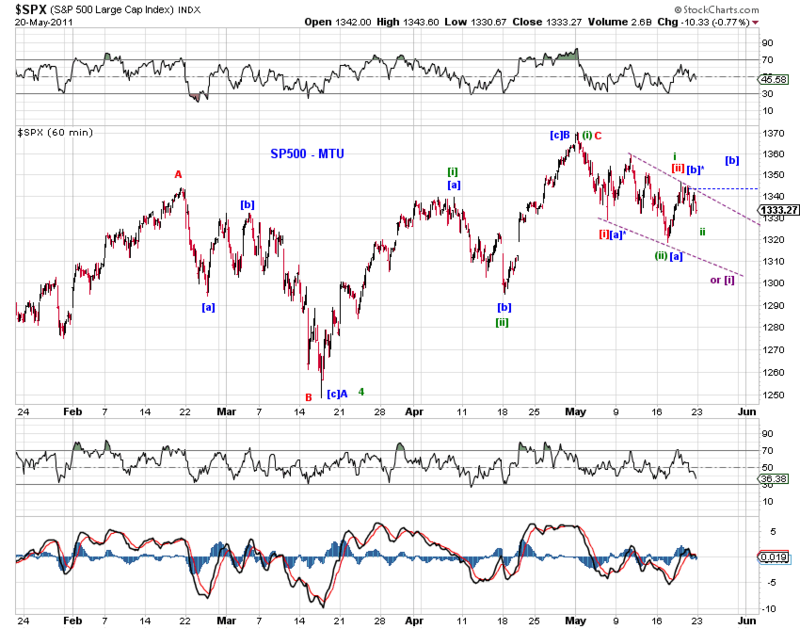 The purple LD [i]-down appears to be least likely given the wave structure of past 4 days - not an apparent ABC (Chart 2). 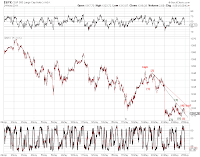 So we are probably tracking C-down of a zigzag (blue), (i)-down of an impulse (red), or a more complex corrective structure (green). Squiggles present options at the moment (Chart 2). There's divergence between the weaker small caps and relatively resilient senior indexes. 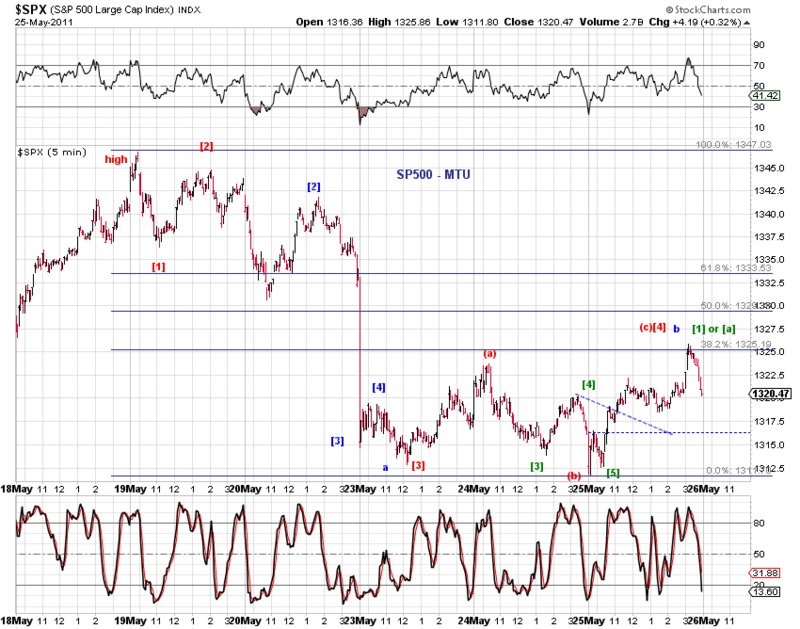 The potential fractal in $RUT is still tracking (Chart 1). 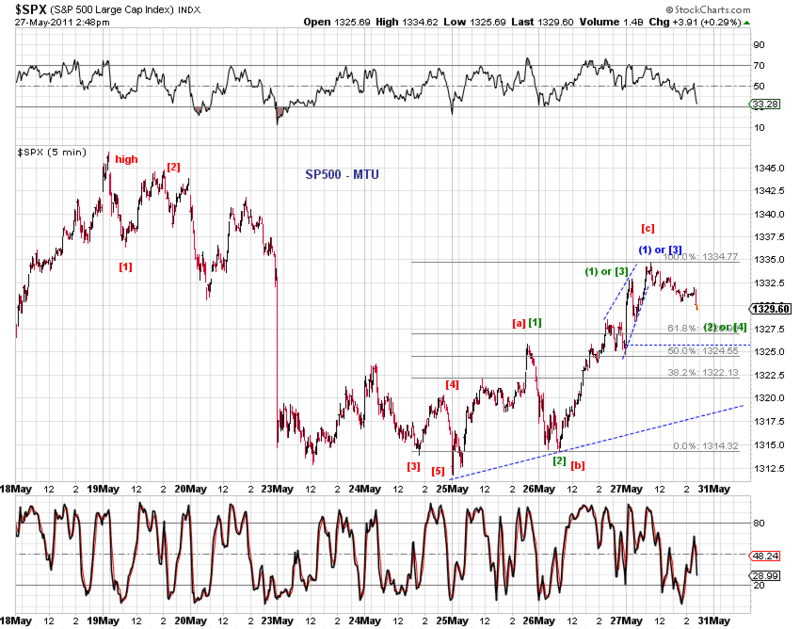 Chart 2 gives a squiggle count on SPX. 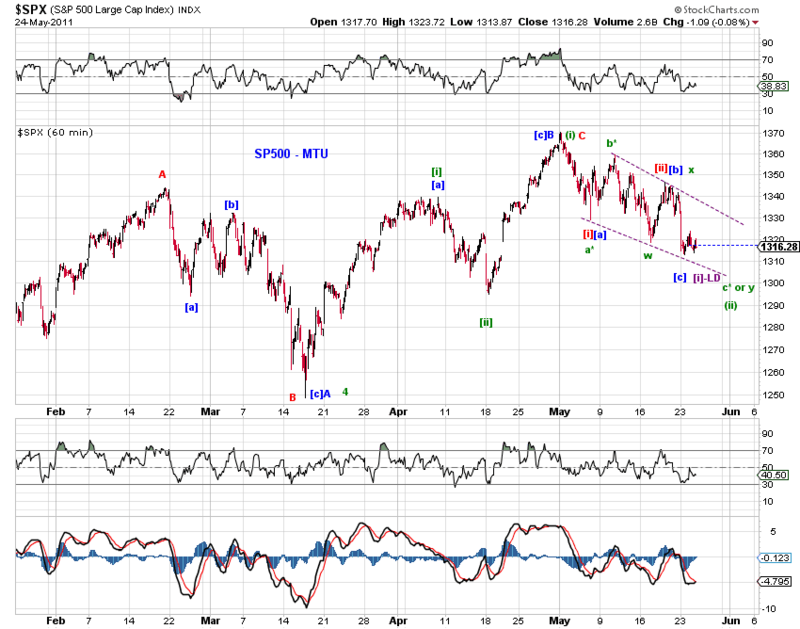 For the very short term, today's low is either a local low or wave b of an upward expanded flat wave 4-up of the decline from the May 19th high (see the 225pm entry below). 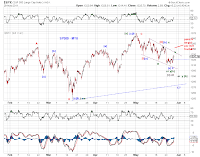 Regarding the larger count, today's sell-off potentially validates a bearish leading diagonal (red) or a bullish ending diagonal (to a running flat at a couple of degrees: green, blue). 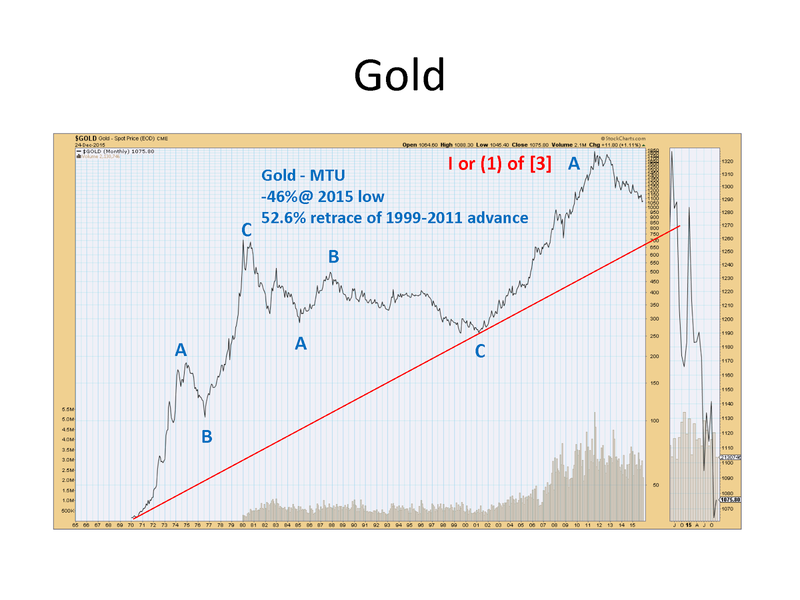 To illustrate, see the Chart 1. 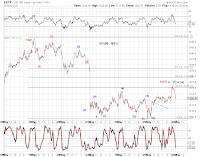 Updated USD squiggle count (Chart 2). 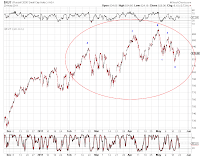 wave 4 expanded flat or local low in place. 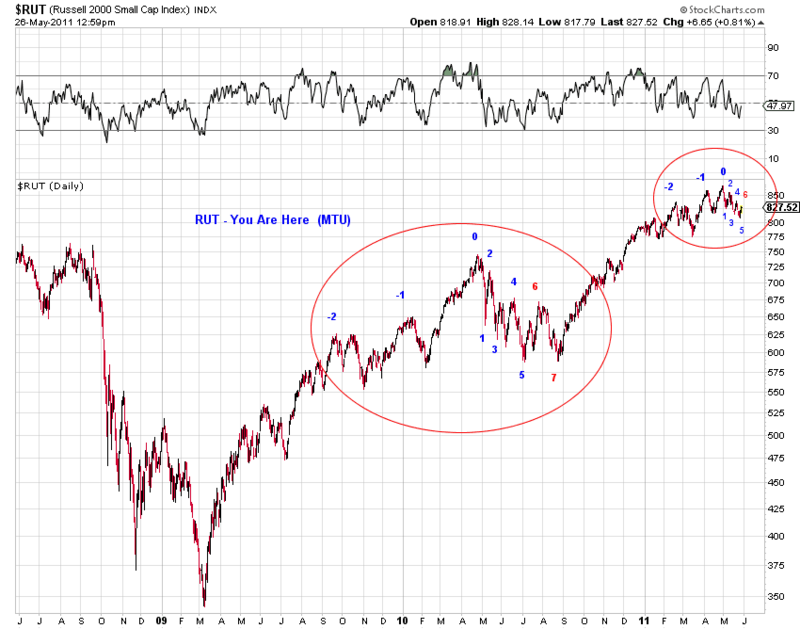 Potential similarities between the end of QE2 and the end of QE1 in $RUT. See charts below. The anticipation and confirmation of QE2 rescued the U.S. stock market from the post-QE1 sell-off (Apr-Aug, 2010). 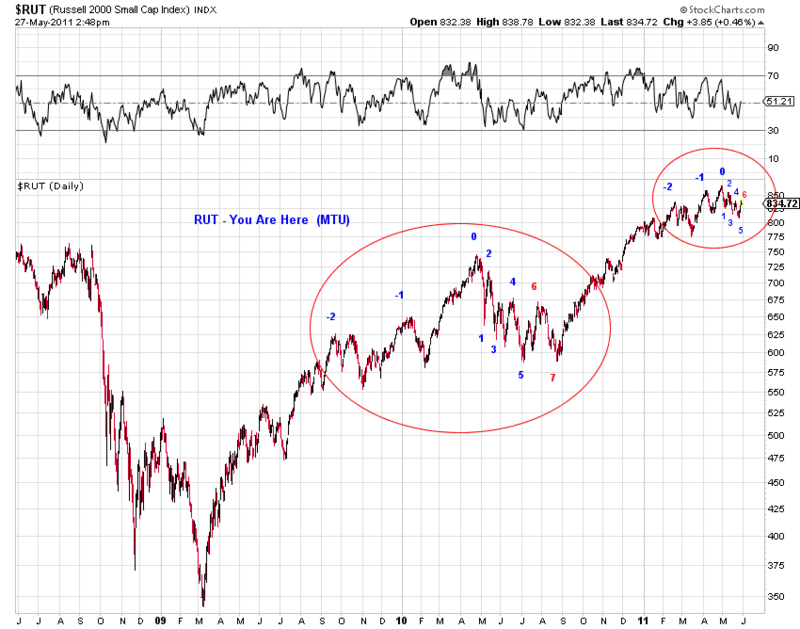 Assuming no QE3, we need other drivers to cushion/support the stock market going forward. 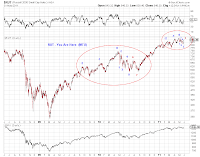 Early this week, U.S. stocks suffered a downside breakout out of the inside week discussed in Consolidation (5/13/11), in an attempt to fill the massive upward April gap. The gap was defended and SPX also rebounded from the edge of a decade-long resistance/support zone discussed in Breakout (4/29/11). 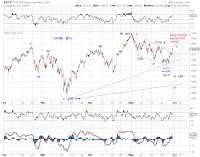 Note that the lower edge of this decade-long resistance/support zone is around 1313 which is also the April gap and this past week's low is 1318.51 in SPX. 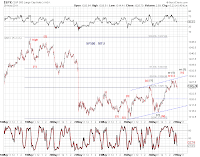 A multi-week consolidation around this potential new support has continued (Chart 1). 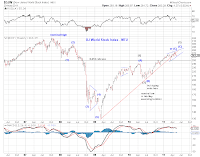 The stalled price action is perhaps another indication that the end of an x wave rebound from lows during the financial crisis in stocks is approaching. 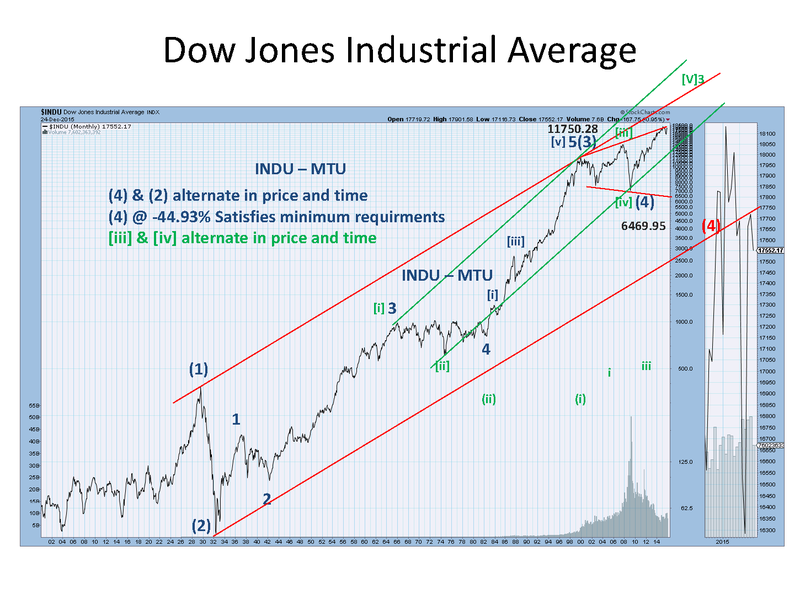 Chart 2 updates the top tracking counts (blue, gray and red) within the context of the proposed x wave, as well as a very bullish count (green). 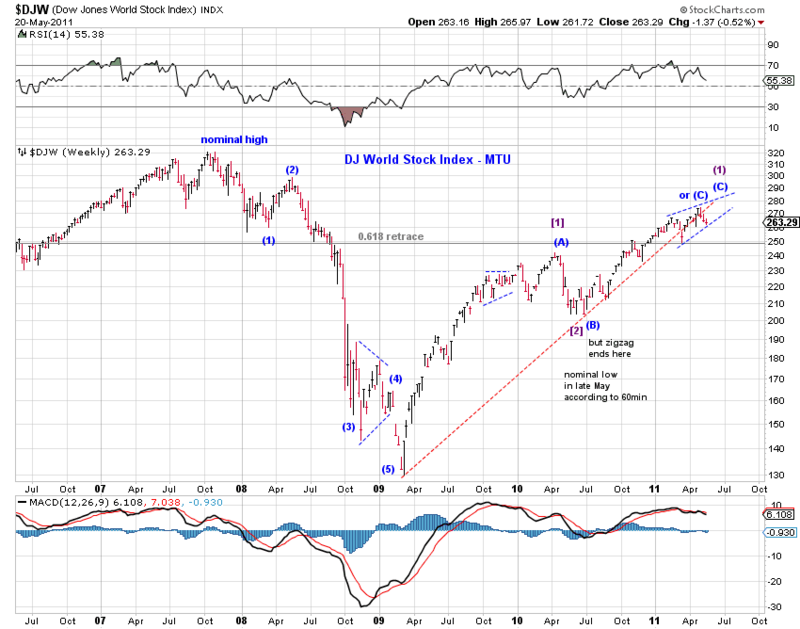 The wave structures in the DJ World Stock Index and the Global Dow Index appear to support some kind of ending diagonal. See Chart A and Chart B below. 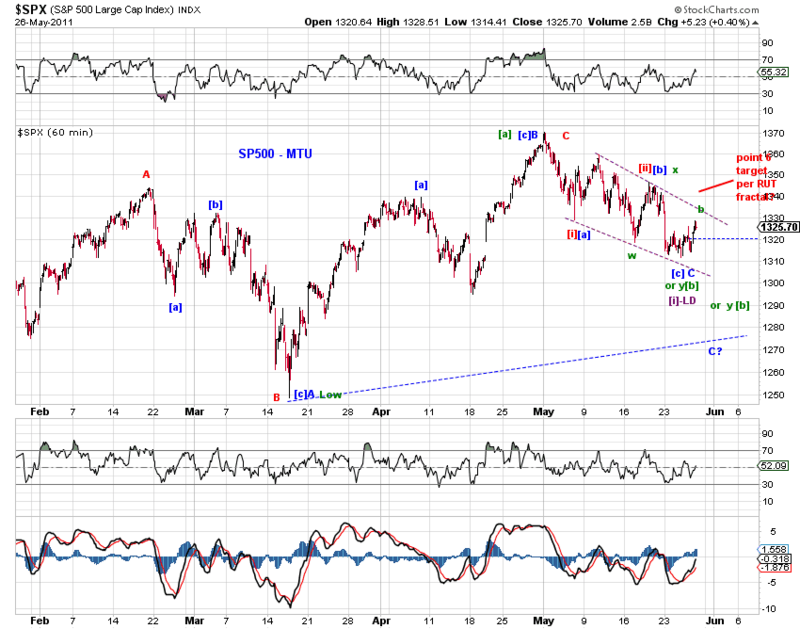 a leading diagonal with respect to the blue count and the bullish green count. 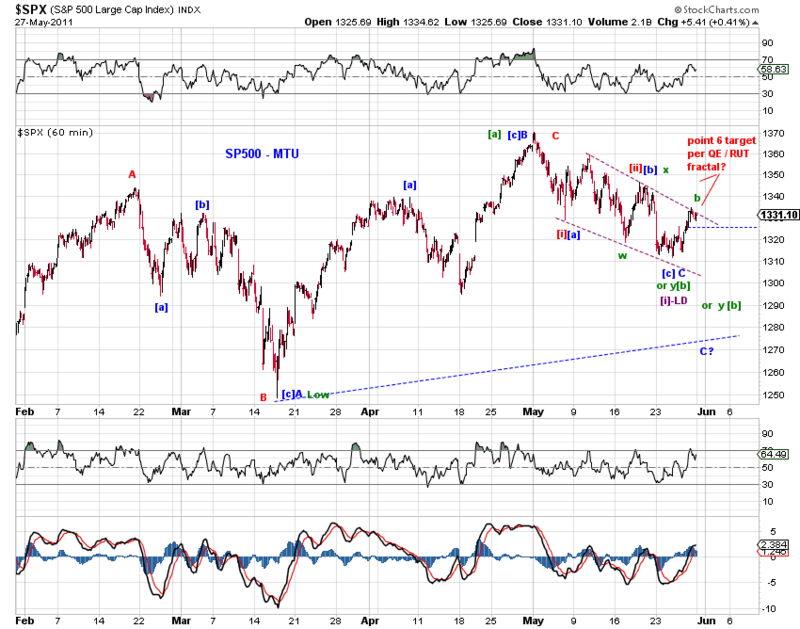 a bullish 1/2/1/2 setup for the blue count and green count. 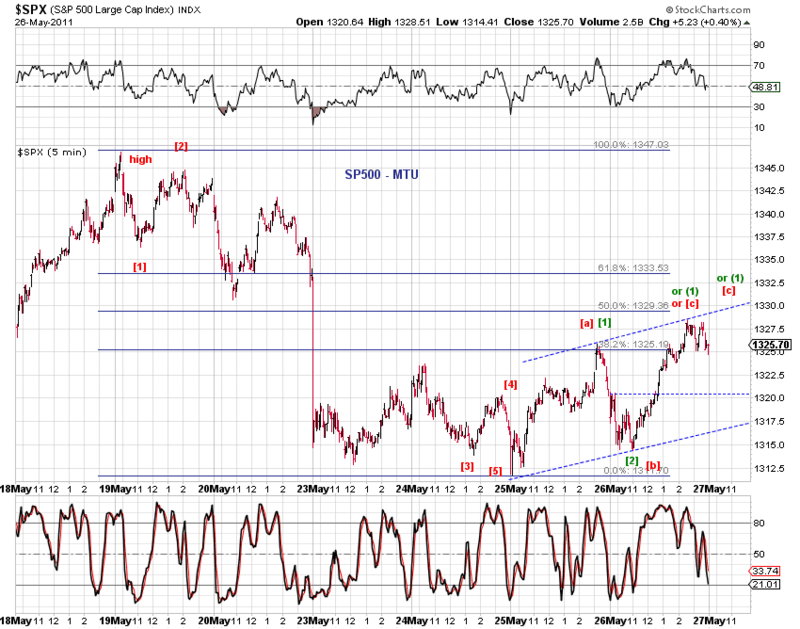 Note that the starred blue and green counts, (B)* and 2*, accommodate more near term downside potential. 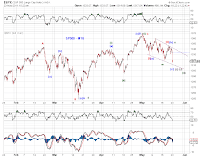 In the near term, stocks are likely finishing an A-B-C decline from this week's high with a complex B wave - see Chart 3, 4 and 5 below. 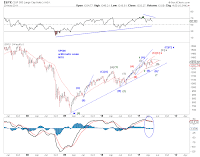 If a multi-month reversal is indeed occurring, the April low is likely wave [B] of a multi-year upward flat or wave  of a multi-year bull trend, as indicated in Chart 6 as well as discussed in Multi-asset Outlook (5/6/11). 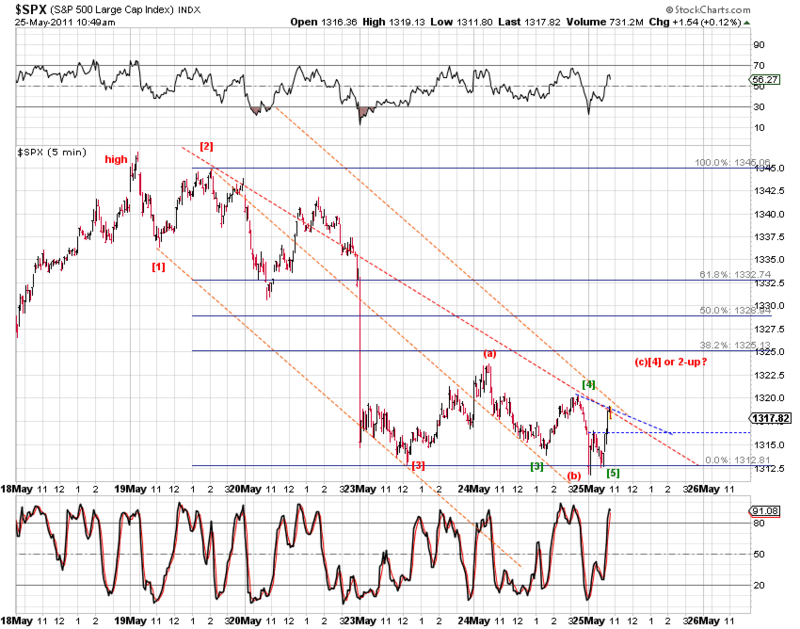 Squiggle counts from the low suggest that additional near term upside potential is likely (Chart 7). 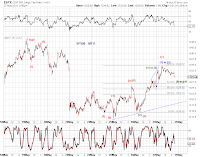 However, the possibility that the current rebound being wave D of a (bearish) ending diagonal cannot be ruled out. 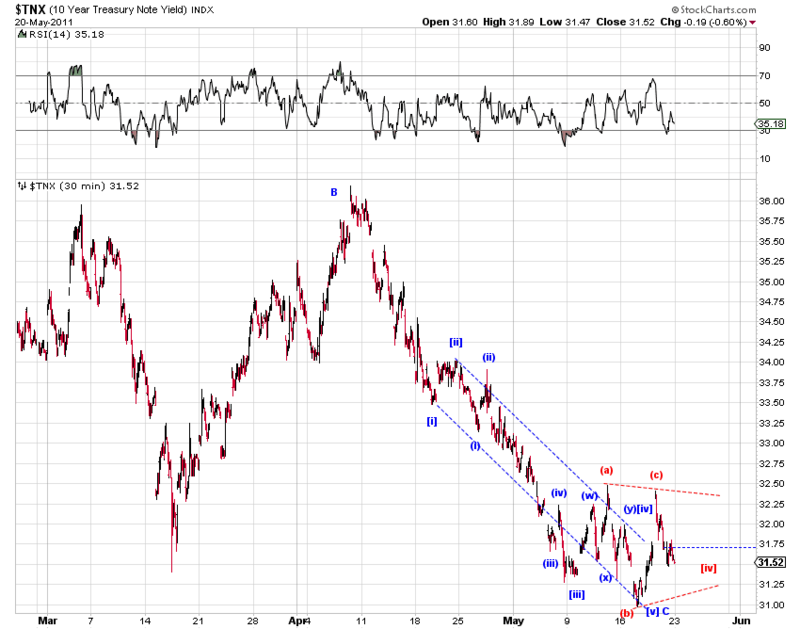 Using the 10-year note as a proxy, this week's yield low in long-term U.S. Treasuries has the potential to be a trend-reversal event. 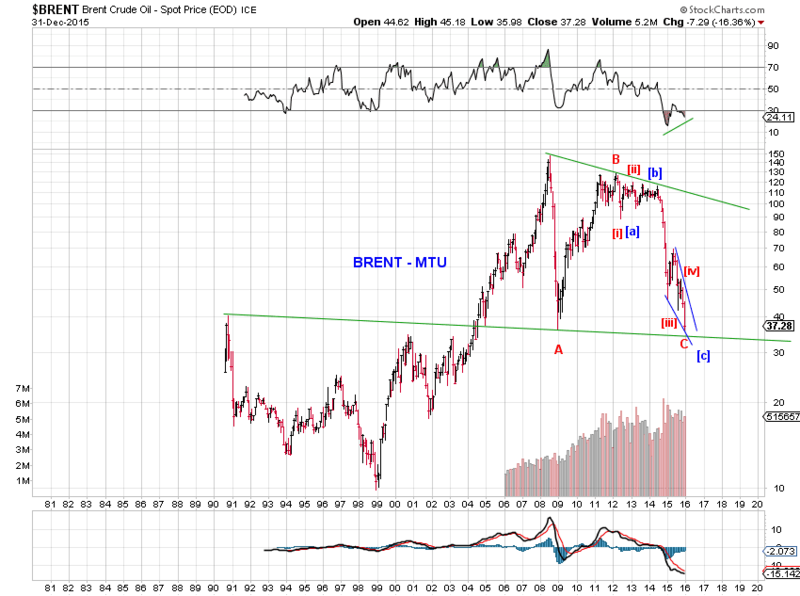 The blue count in Chart 8 illustrates this bearish potential (in price) , once the bullish triangle count (red) is invalidated.